I know, I planned to do far more around Düsseldorf because there is so much to see. But with a boyfriend who works weekends and a comfy sofa and something to knit, it is sometimes really hard to get out and see something. Yesterday Simone made me leave my sofa and go for a trip. 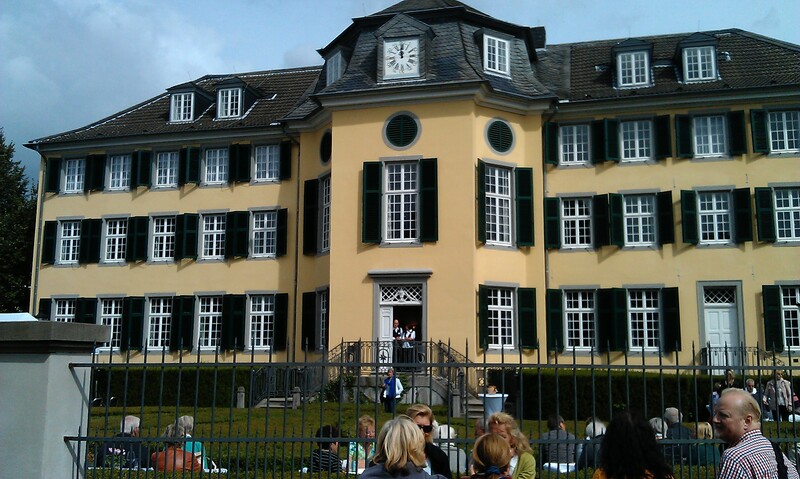 We decided to go to a Jazz Matinee infront of the Herrenhaus Cromford in Ratingen, a small neighbouring small town of Düsseldorf. It turned out that the Jazz Matinee was less Jazz (every now and then a band played some songs) and more of a good excuse for the retired people of the neighbourhood to enjoy the last sun beams of summer and meet friends while having a nice glass of wine or some coffee and cake. So we decided to go for a walk. Next to the manor (which is actually nearly completely surrounded by normal flats) is the Poensgen-Park, also called Cromford Park due to its closeness to Cromford Manor. 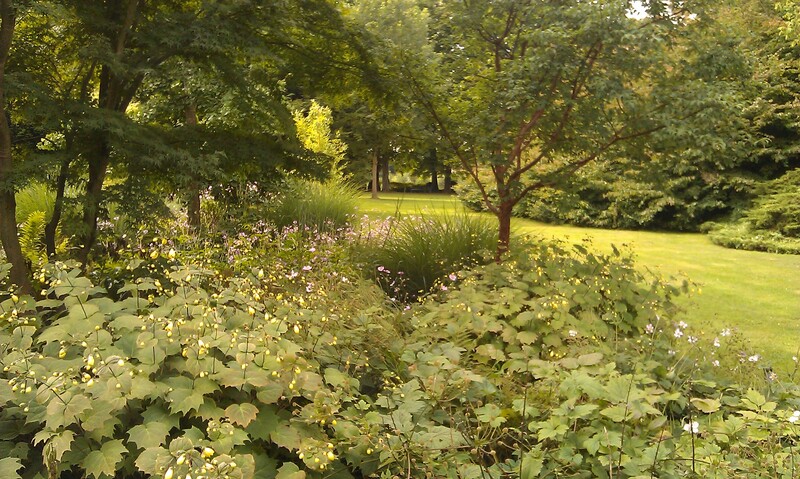 It is a beautiful small park and I must admit I hadn’t expected something like this in Ratingen as for some reason I thought Ratingen would be a rather unpleasant place. Next we decided to see what Cromford manor had to offer other than the Jazz matinee. I had seen on the internet that Cromford was the first cotton spinning factory on the European Continent (Mr. Brüggelmann the founder of Cromford had sent spies to England to take advantage of the industrial inventions that had been made there and with the information than set up his factory) The museum is part of the LVR-Industriemuseum cooperation and very well made. We first visited the manor and then got a guided tour of the factory where they have rebuilt many of the old machines. You can see how they work, can touch many of the interstage products in the process of turning raw cotton into fine yarn and our guide gave us a good overview over the textile industry in general and especially in Germany. Last but not least we took a look at the Blauer See (blue lake) area as we had parked closer to the recreation area than to the museum. 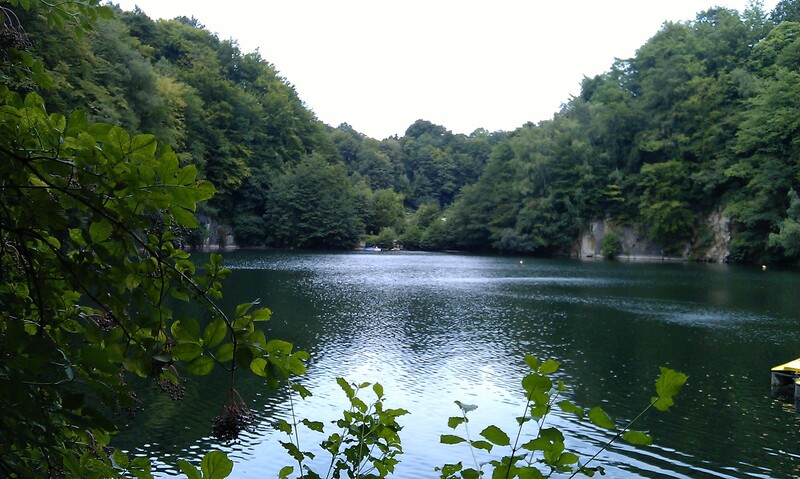 The lake is tiny but looks very interesting as it is deep down where they once mined something (can’t remember what). It is surround by family attractions like mini golf a play ground and the like. What sounds cool for families and was really well visited turned out to be quite run down. It looked a bit depressing there. But maybe this was also because the weather made it clear that autumn is about to approach. Anyway it was a great little trip and it was fun to see something you wouldn’t go and see normally. I need to remind myself to do something like this more often. 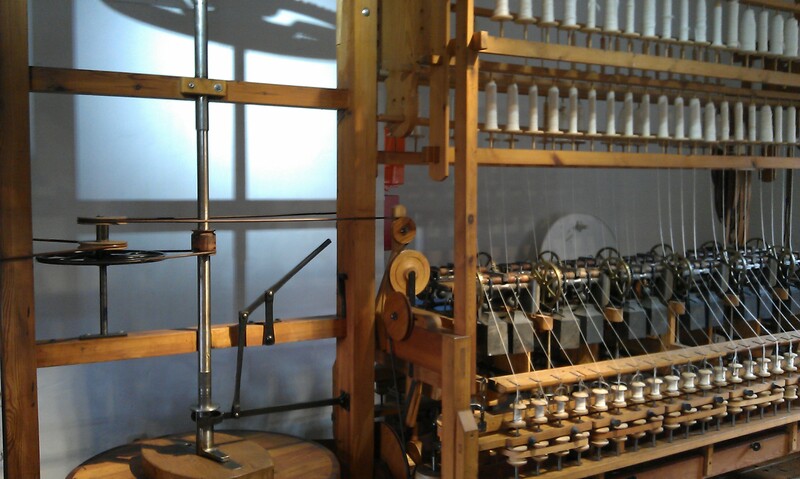 This entry was posted in Germany and tagged Museum, Ratingen by kathatravelling. Bookmark the permalink.